This class is FREE for owners of a sewing machine purchased from The Sewing Machine Shop. In this class, you will learn how to setup your hoop with stabilizer and fabric, choose and stitch out your design, and navigate through the embroidery portion of your machine. A minimum of 3 students is required for this class to be held. April is National Serger Month Join Us for Our Sip n Serge Event! Due to the response, we received for this class we have added additional seating. 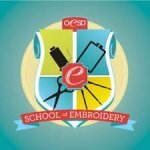 Join us every other month to learn a different embroidery technique and expand your skills or just have fun. This is a new club and open to all types of embroidery machines. If you would like to get more out of your embroidery machine, refresh your skills, or just have fun learning how to make something, then this is the club for you. Members join for 6 sessions (1 year) meeting every other month beginning in February. This club is prorated based on when you join. Needles, Thread, and Stabilizers OH MY! Learn about needles, thread, stabilizers and how they affect your creations. Join Michelle Wyman for a great beginning quilter class. The Pinwheel is easy and looks great! Due to the response, we received for this club we have added additional seating. Did you know your serger can do more than just finish edges? Join Serger Club and learn about the many things you can do with your serger. Serger Club will meet every other month and will teach you new techniques as you create a project. Sign-up today! Join Sue for this fast and fun star quilt. Only two to three fabrics needed, depending on borders. This is a great class for beginning quilters. Supply List available for download or in the shop. Learn the basics of free-motion quilting with Suzi Dillinger. Have you ever wanted to free-motion on a quilt, but didn't know where to start? Join Suzi and she will take you through the basics to get you started on this fun and exciting sewing technique. Join us every other month to learn a different embroidery technique and expand your skills or just have fun. This is a new club and open to all types of embroidery machines. If you would like to get more out of your embroidery machine, refresh your skills, or just have fun learning how to make something, then this is the club for you. Members join for 6 sessions (1 year) meeting every other month beginning in February. This club is prorated based on when you join. Learn how to solve your fitting problems with "The Fit Doctor" - Judy Kessinger! This class is FREE for owners of a sewing machine purchased from The Sewing Machine Shop. 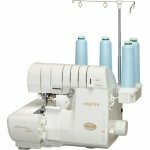 In this class, you will learn all the basics of your machine: threading, bobbin winding, maintenance, icons, and changing machine settings, the basic feet, changing stitches, and how to navigate around the menu of the machine. You will perform basic stitches on the machine. A minimum of 3 students is required for this class to be held. This class is FREE for owners of a sewing machine purchased from The Sewing Machine Shop. In this class, you will learn the ins and outs of your sewing machine including threading, tension, maintenance, trouble shooting, and much more. This class also covers the sewing portion of the Bernina 300, 400, 500, and 600 machines. Please note that a minimum of 3 students is required for this class. This class is FREE for owners of a sewing machine purchased from The Sewing Machine Shop. This class covers threading, tension, maintenance, trouble shooting, and much more. You will be guided through several stitch types, including overlocking, narrow hems, and rolled edges, and learn common uses for them. Did you know your serger can do more that just finish edges? Join Serger Club and learn about the many things you can do with your serger. Serger Club will meet every other month and will teach you new techniques as you create a project. Sign-up today!